Most Anticipated Book Releases of 2018! There are a fair amount of books I am looking forward to this year, and while I tried to make a list of the top 8 I was most excited for, I could only come up with a top 7…but oh well, I wanted to choose books that I am just dying to get my hands on, and while I am sure I will be adding to this list as the year goes on, these are the 7 most current book releases I am anticipating in the year of 2018! Those are the 7 books I am anticipating for 2018 and I hope you enjoyed! Make sure you comment some of the books you are looking forward to reading in 2018 because I am always looking for more books to read. Also, if you like reading about the topic of creative living, check out my last blog post where I posted a semi rant on the topic! Summer is within arms reach so make sure you have your sunglasses, sunscreen and a pile of books ready to be read. If you need some help figuring out which books to read though, here are a few recommendations that are perfect beach reads! Since You’ve Been Gone by Morgan Matson – This book is the perfect summer romance story to indulge in during the summer. It follows a girl named Emily whose best friend, Sloane, has mysteriously disappeared, leaving behind only a summer bucket list for Emily. As Emily sets off to complete this list, in hopes of it leading her to Sloane, she runs into some unexpected new friends that help her live an unforgettable summer. I love Morgan Matson books, but this one is definitely by favourite and I recommend you read it if you love contemporaries like myself! Paper Towns by John Green – I am not a huge John Green fan, but I didn’t mind Paper Towns and I thought it was a great beach read. It has a summer adventure and fun characters to follow so it is definitely worth a shot. Paper Towns follows this boy named Quentin, who is determined to find the girl he has been pining after for years, after she mysteriously disappears. Along with a few friends, they work together to follow the clues Margo left behind, to figure out where in the world she is. There is also a movie adaptation of this book which is also entertaining so I recommend you watch it after you read the book if you already haven’t! The Mortal Instruments series by Cassandra Clare – Since its summer, start a new series! I recommend The Mortal Instruments series by Cassandra Clare because it is fantastic, and even if you have already read it, re read it! There six books in this series, and the first one, City of Bones, follows a girl named Clary whose mother disappears and we follow her as she sets off on a journey to find her. Along the way, she realizes the world she lives in is really a world of demons and angels, and discovers that she has more to do with this world than she thought. This series is action packed and has a great cast of characters so I really recommend you jump right into this series and enjoy the fun ride! Percy Jackson and the Olympians series by Rick Riordan – This is also a great series to read during the summer because is witty and extremely fast paced. You also learn a lot about mythology in this series, considering it is based around Greek mythology. The first book of five is called The Lightning Thief, and it follows a young boy named Percy Jackson who discovers he is the son of a Greek god and is being accused of stealing Zeus’s master lightning bolt. Now he has to go on a quest to find the real lightning thief along with two friends, Annabeth and Grover, and find the bolt before the end of the summer solstice. I love, love, love this series and think it is something anyone can enjoy! 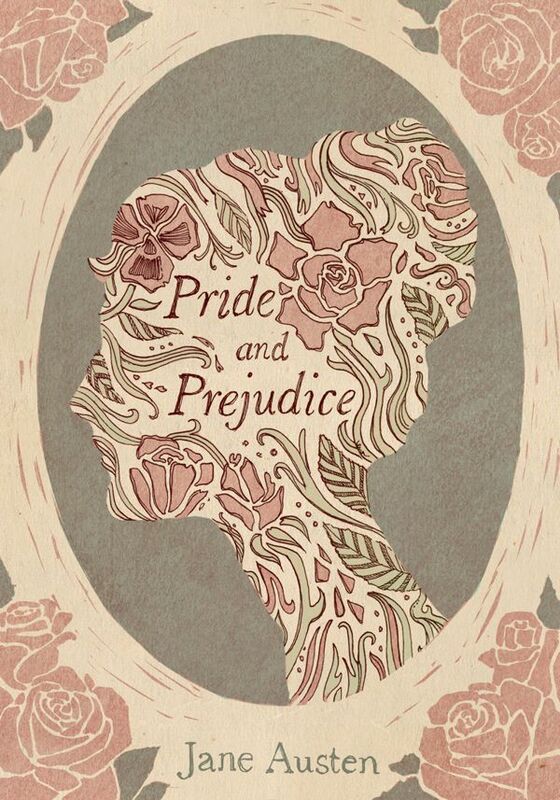 Pride and Prejudice by Jane Austen – I am currently reading this along with Lord of Shadows by Cassandra Clare, and I am really enjoying it so far! It takes a few pages to adjust to the language, but once you have you don’t want to stop. Pride and Prejudice follows the Mr and Mrs Bennett and their five daughters, and how they find love during this completely different era. 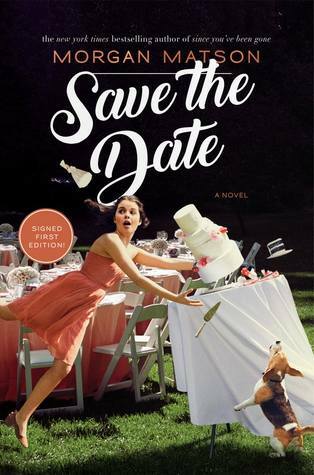 There are witty characters and romances and I cannot wait to continue diving into the book! Those are all of my summer reading recommendations and I hope you enjoyed. Don’t forget to check out my last blog post: Reading/Writing Update! I didn’t read that many books this month, and it wasn’t because I was too busy to pick up a book…I would just pick up a book but then get distracted with another book but then never finish it. Anyways, I did manage to read two books, so here they are! Those are the two books I read this month, and I hope you enjoyed. Don’t forget to check out my last blog post: May 2017 Haul! I do enjoy my quick, easy reads, but it is also nice to fully indulge in a book for several hundred pages. If you too enjoy long reads then here are a few recommendations! Lady Midnight by Cassandra Clare – This is a pretty thick book, being almost seven hundred pages long, but it is absolutely fantastic. 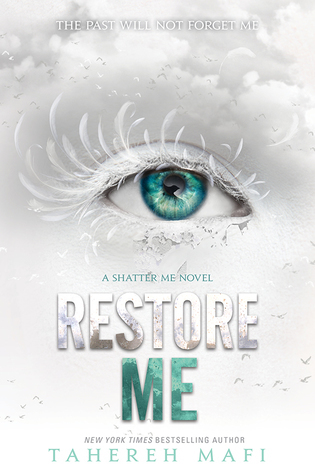 You do have to read all of Cassandra Clare’s other books before you read this one, but trust me, it is so worth it. Lady Midnight follows a group of Shadowhunters (half human half angel) who try to uncover the mystery of Emma Carstairs’ parents’ death, but it turns out to be more than they bargained for. A story with a great cast of characters and a thrilling plot! Saint Anything by Sarah Dessen – This book is a little over four hundred pages, and that is quite a lot for a contemporary, but since summer is here it is a definite read. Saint Anything is about a girl named Sydney who is used to being in the shadows, unseen and unheard. But when her brother does something that puts a spotlight on the entire family, she finds that she can’t outrun it. I just flew through this book, and I definitely believe it is one of Sarah Dessen’s best work. An Ember in the Ashes by Sabaa Tahir – An Ember in the Ashes is a fantastic book that was easily one of my favourite reads of 2015. It was action packed, and had some drops of romance here and there. An Ember in the Ashes follows two perspectives, Laia and Elias. Laia is on the run after her brother was taken by the Empire, and Elias is trying to escape the Empire. We follow these two misfits as their paths intertwine and they face a series of deadly challenges. It is a gripping read that you will devour whole. Throne of Glass by Sarah J Maas – In this series, the books just keep getting larger and larger, but I am okay with that. Throne of Glass follows a badass assassin, Celeana Sardothien, who is being given the option to leave the slavery camp she is trapped in forever, or work for the king. She jumps at the offer only to be faced with a series of battles to the death, in order to become the King’s personal assassin. This is a book with lots of epic fight scenes, and scenes that will keep you on your toes and wanting more! The Unexpected Everything by Morgan Matson – For a contemporary this thing is HUGE, being over five hundred pages and all. The Unexpected Everything follows a girl named Andie who had her whole summer mapped out. She had a great internship lined up, was on the way to have a quick summer romance, and was ready to have epic adventures with her friends. That is, until her father, a popular congressman, is involved in a political scandal and her plans dramatically change. This is another fun, summery read that I definitely recommend since summer is around the corner! Those are some longer book recommendations to read and I hope you enjoyed! Don’t forget to check out my last blog post: Writer’s Motivation Pack! Sorry I have not posted for the last few days. I felt very creatively blocked and could not, for the life of me, come up with a decent blog post! Anyways, hopefully things will be back on track for this week and the weeks to come, and I hope you enjoy this quick reading update. I was slowly making my way through The Unexpected Everything by Morgan Matson, and I finally finished it on Friday night. I had somewhat high expectations for this book, considering how much I loved Since You’ve Been Gone, and while I did really enjoy the book and thought it was a lot of fun, Since You’ve Been Gone is still my favourite Morgan Matson book. I really loved the summery vibe this book gave me, but I did find that my alarming differences from the main character, Andie, made it hard for me to connect to the story as much as I hoped I would. I am glad I read this though, and will give more detail on my thoughts on it in my May 2017 Wrap Up! Since I have finished this book, my plan is to continue reading The Dark Prophecy by Rick Riordan, which I have started a bit, and then fit in another book before Lord of Shadows by Cassandra Clare comes out. Once this book comes out, I know my life is going to be, once again, consumed by this (most likely) fantastic book! That is all for my reading update and I hope you enjoyed! Okay, so I have a lot of books on my shelf, as well as books coming out, that I want to read with absolutely no time. I am sure a lot of you can relate, so here are all the books I want to and need to finish before the end of the summer! This book is about a girl named Andie who has her whole summer planned out. She has a great internship lined up, a great group of friends, and is ready to for a quick summer romance…as long as it is no more than three weeks. But when her congressman father gets caught up in a political scandal, she finds her summer flipped upside down and her organized summer becomes an insane mess. I am currently reading this book, but I have been distracted by all these new releases that it keeps getting pushed back. I am determined to finish it very soon though! This is a book a bind up of novellas written in Simon Lewis’s POV, and follow him on his journey through the Shadowhunter Academy as he sets out to become a Shadowhunter. I started this earlier this year, but again, I just got distracted by other books and never got around to finishing it. The Moon and More follows our main character, Emaline, who is entering the summer before college, and during this last summer, she meets a city boy named Theo. Theo isn’t the typical boy she would like, but she can’t help but feel drawn to him in this summer contemporary. I love Sarah Dessen books, so I know I will eventually read it this summer, it has just been sitting on my shelf for a while. A Court of Mist and Fury is the sequel to A Court of Thorns and Roses, which follows Feyre, a girl who while hunting for her family shoots and kills a wolf. The only thing is, the wolf turns out to be a faerie, and she forced to make the decision to die or live out the rest of her mortal life in the faerie world. She chooses to leave for the faerie world, and realizes it is not anything like she believed. I devoured the first book, but this book is quite chunky so I am going to need a little motivation to tackle it, and a lot of time. This is the sequel to Six of Crows, which follows a group of misfits who attempt an impossible, suicidal mission. Yet, none of them have anything to lose, and the reward is too good to pass up, leading to a quest of insanity. I enjoyed the first book, but I definitely need to give it a re read because I am a little hazy on the details. Those are a few books that I NEED to finish before the fall, and before school starts back up again. I have high hopes to get them done, but there are also a lot of amazing books coming out so we shall see. Don’t forget to check out my last blog post: Reading/Writing Update! May 2nd was the day of a whole bunch of new releases I was anticipating. There was A Court of Wings and Ruin by Sarah J Maas, The Dark Prophecy by Rick Riordan, and Always and Forever, Lara Jean by Jenny Han. I bought Always and Forever, Lara Jean, and finished it in about a day because I could not put it down! It was just as fun and quirky as I hoped, and while I am sad one of my favourite trilogies is over, I loved the finale. Next I plan on reading and finishing both The Unexpected Everything by Morgan Matson, and The Dark Prophecy by Rick Riordan. I am super excited to dive into these books and I have high hopes that I know will be met! I didn’t do any writing this week, but I have been planning and planning for my story, and slowly I can see it piecing together in front of me. Planning has made me more excited for this project, and I cannot wait to finally be able to write it! That is all for my reading and writing update and I hope you enjoyed. Don’t forget to check out my last blog post: Quick Writing Tips #5! I didn’t read too many books in April, but I really want to read more in May because there are SO many amazing new releases coming out. This may be a little ambitious since May will be a busy month for me, but its not a true TBR without being a little too ambitious. 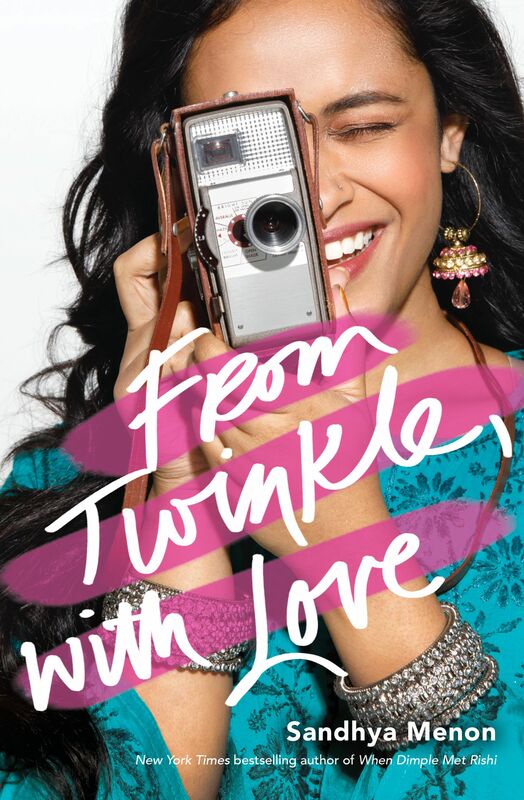 I am ecstatic for Jenny Han’s new book, and final book in the To All the Boys I’ve Loved Before trilogy. It comes out tomorrow, and I plan on reading it right away! If you didn’t know, To All the Boys I’ve Loved Before follows a girl named Lara Jean who writes love letters to all the boys she has loved before, but one day, they get mysteriously sent out. This is a really fun and has a quirky romance, and if you haven’t read it you are really missing out! This is definitely my most anticipated book of 2017 so once I get this book in my hands, I will be devouring it. Lord of Shadows comes out later in the month of May (sadly) and is the sequel to Lady Midnight which follows our main characters, Emma and Julian, two Shadowhunters, who with the help of their friends, try and solve the mystery of Emma’s parents mysterious deaths. I absolutely adored Lady Midnight and I have high hopes for Lord of Shadows. White Hot Kiss seems like a really fast paced and enjoyable read, which I will be wanting this month, so I am excited to pick it up and give it a try. White Hot Kiss follows our main character, Layla, who wants to be a normal teenager but finds that it is hard considering her kiss kills anything with a living soul. Really excited to give this book a read, and hopefully it is as good as it sounds! The Unexpected Everything follows a girl named Andie who has her whole summer planned out, going to an internship for pre-med and hanging out with her amazing friends. That is, until her father, a popular congressman, gets caught up in a big political scandal and all her plans come crashing down. I am really excited to read another Morgan Matson book because I loved, Since You’ve Been Gone and I have some pretty high expectations for this one! Those are the four, pretty hefty books I plan on reading this month and I hope you enjoyed! Don’t forget to check out my last blog post: What To Do After Camp NaNoWriMo! It took me forever to finish re reading Lady Midnight by Cassandra Clare this month, because not only have I been pretty busy, but I was also hit by a reading slump. Luckily, I just finished Lady Midnight and I am positive it has finally brought me out of my reading slump! It also made me very excited for Lord of Shadows, the sequel to Lady Midnight, even more than I already was. Since I have finished, next I am going to pick up The Unexpected Everything by Morgan Matson. I am always in the contemporary mood so I am super pumped to finally read this newer Morgan Matson book, and I am sure I will love it! As for a writing update, I have written about six thousand words for my story. I only have until…tomorrow to finish my Camp NaNoWriMo story, but I think I can do it…yeah! That is all for my reading and writing update and I hope you enjoyed. Don’t forget to check out my last blog post: April 2017 Book Haul! I managed to buy a few books this month and I am really, really excited about them all so here they are! I absolutely adored Morgan Matson’s, Since You’ve Been Gone, and I have heard great things about her new one as well. The Unexpected Everything is about this girl named Andie who had her summer all planned out, that is, until her politician father gets caught up in a big scandal and everything is flipped upside down. I have been in a huge contemporary mood lately so hopefully this book will satisfy it! This is a historical fiction book that I have heard fantastic things about, and since I have been wanting to read more historical fiction, I am very excited to finally read it! All the Light We Cannot See is about a blind French girl whose paths collide in France during World War II. Cannot wait to read this amazing story! I am in the mood for a trashy YA and I love Jennifer L Armentrout’s books so…I bought another! White Hot Kiss is about Layla, a seventeen year old girl who just wants to be normal, but that is kind of difficult when her kiss kills anything with a soul. I like that Jennifer L Armentrout’s books give me a contemporary feel, but also have a mystical aspects to it which makes me ever more excited! I have always wanted to read a Maria V Snyder book, and saw this and decided to pick it up. 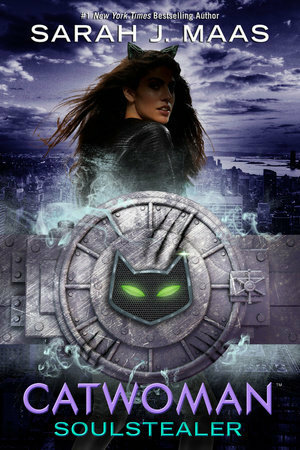 I did realize that it is the second book in the series…but oh well. I am not a hundred percent sure what it is about, but I wanted to go into it without any real idea. This book is everywhere and everyone has read it so I decided I should give it a shot. From what I have gathered, Hush Hush is about a girl named Nora who has never planned on falling in love, that is until Patch. I also have heard that it has to do with fallen angels, so I am really excited to see how that plays into it. Those are all the books I purchased this month and I hope you enjoyed. Don’t forget to check out my last blog post: Never Will I Ever Book Tag!